Thus far all of my fellow travelers have hailed from North America. Not so Arnold George Dorsey, who was born of English parents in Madras, India in 1936 and spent his first decade there before his parents moved back to England. In 1965, after a decade of struggling to establish himself in the music industry, Dorsey teamed up with an old friend, Gordon Mills, who was successfully managing the career of Tom Jones. Gordon suggested a name change, obtained a recording contract with the British Decca label (which released product in the USA under the London and Parrot labels) and helped in other aspects of Englebert’s career. After a few minor European hits such as “Domage, Domage” Mills and Humperdinck unleashed “Release Me” on an unsuspecting world. The song, a cover of a 1954 Ray Price country hit, featured a sweeping orchestral and choral arrangement topped off by Englebert’s soaring vocals. Engelbert was the biggest global star in the world of classic pop (or pop standards) for the period through 1970. “Release Me went to #4 n the US pop charts, #2 in Canada, #3 in Australia and #1 in England, Ireland and the Netherlands. It’s follow up “There Goes My Everything” went top 20 in the US and top ten in various countries. The single after that, “The Last Waltz”, went to #25 in the US but went to #1 in England, Ireland, Australia and The Netherlands. The single after that one, “Am I That Easy To Forget” returned Englebert to the US pop top twenty. After that the hits started decreasing in size although he would continue to chart around the world until the end of he 1980s. He charted on the British pop chart as recently as 2012. Three of Englebert’s four biggest hits were covers of Americn country hits (“There Goes My Everything” had been a huge record for Jack Greene and “Am I That Easy To Forget” a hit for Jim Reeves and for writer Carl Belew). In addition to covering country hits for his singles, country songs showed up as album tracks on his albums. Even though Englebert’s records were not charting as country during the 1960s and early 1970s, his songs were receiving some airplay on country radio stations, especially those stations that billed themselves as “countrypolitan” stations. In 1977 Engelbert’s last top ten US pop hit, “After The Lovin'” charted at #40 on Billboard’s Country charts (it reached #31 on Cashbox). 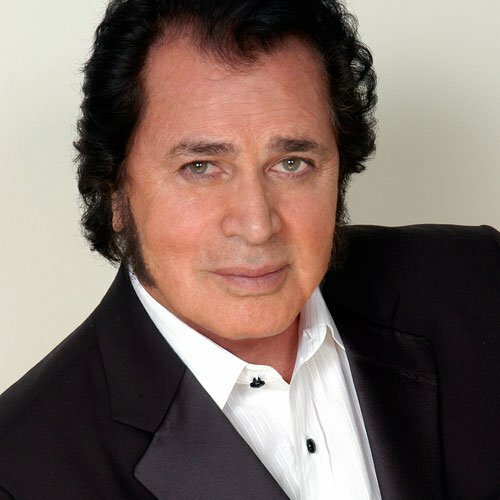 Three more singles would chart country for Engelbert, including 1979’s “Til You And Your Lover Are Lovers Again” which cracked the top forty. Englebert Humperdinck and Dean Martin were my mom’s favorite singers and although Mom wasn’t really a fan of country music, it is significant that both of her favorites were fans of the genre, favorites who helped expose country music, even if only in a limited manner. After leaving Capitol it took Haggard a while to get himself back on track in the studio, as this period found Haggard focusing mostly on his live performances, operating larger and more swinging ensembles. Seeing a live Merle Haggard performance during the late 1970s was indeed a treat; however, his recorded output (and songwriting) suffered in the process. Losing the steady (and unobtrusive) hand of Ken Nelson as producer didn’t help either. The Way I Am was Merle’s fifth album for MCA. After Ramblin’ Fever and My Farewell To Elvis things seemed to stagnate. I’m Always On A Mountain When I Fall, peaked at #17 while spending twenty weeks on the charts and featured three singles that reached #2. Serving 190 Proof also peaked at #17 and spent twenty-five weeks on the charts while featuring four singles that each peaked at #4. While The Way I Am only reached #16 on the charts, it had a long chart run of thirty-nine weeks and primed the pump for further success. Only the title track was released as a single, reaching #2 for two weeks (it reached #1 on both Cashbox and Record World charts) but with this album Haggard got back to focusing on his recorded vocals. “Skybo” is one of two tracks on which Porter Wagoner shares production credits. Updating Jimmie Rodgers’ hobos to the last quarter of the twentieth century, “Skybo” tells the story of a man who works airports and hitches rides to new destinations. The song has a distinct Cajun feel to it. “No One To Sing For But The Band” is a song of lost love. Not one of Hag’s better songs but still good. “Where Have You Been” is the tale of a husband and family dealing with a wayward spouse. While not a classic Haggard song, it is a good enough effort to warrant listening. The last four songs are songs often associated with the legendary Texas Troubadour, Ernest Tubb. During the period 1944-1956 honky-tonk was the dominant form of country music and Ernest Tubb and Floyd Tillman were the primary architects of the style. “I’ll Always Be Glad To Take You Back” is another Tubb-penned song that Haggard handles to perfection. “It Makes No Difference Now” was penned by Floyd Tillman, the other pillar of the subgenre. There were several hit versions of the song (Cliff Bruner, Jimmie Davis) in the late 1930s and more in the early 1940s (Tillman, Tubb). The careful crafting of the lyrics led Ray Charles to record the song and include it in his classic Modern Sounds In County and Western Music album, released in 1961. Merle Haggard would record one more secular studio album and a live album for MCA before moving to Epic, his label from late 1981 until mid-1989, where he experienced a renaissance that produced a number of successful albums and singles. Although Haggard’s tenure with MCA was brief, this album and the live Rainbow Stew album are reasons to remember his tenure with MCA.